The modified version of Hanley Hoop Houses have been installed at another farm in New Brunswick (see http://davesproducepacks.com). This farm has 330 customers directly connected with it through weekly produce pack deliveries. Dave Wolpin and his right-hand-man, Alex Eaton, have also been adopting other season extension techniques. Here are some photos from last week. 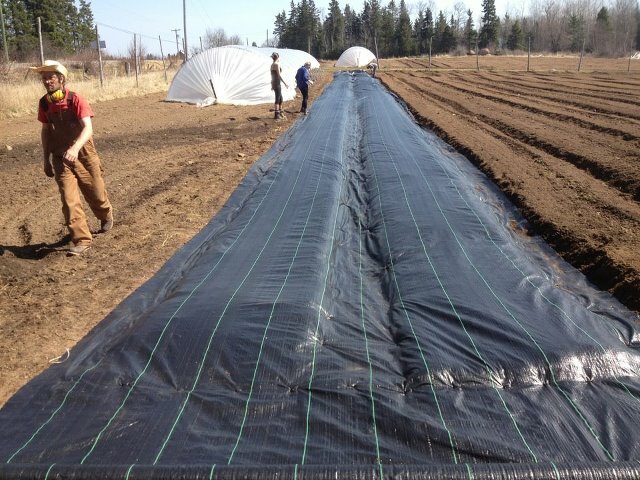 The landscape fabric is laid on top of beds to warm the soil, conserve moisture, discourage weeds, and allow for earlier (and later) plantings. This fabric lasts at least 15 years, and is attached with ‘sod staples’. 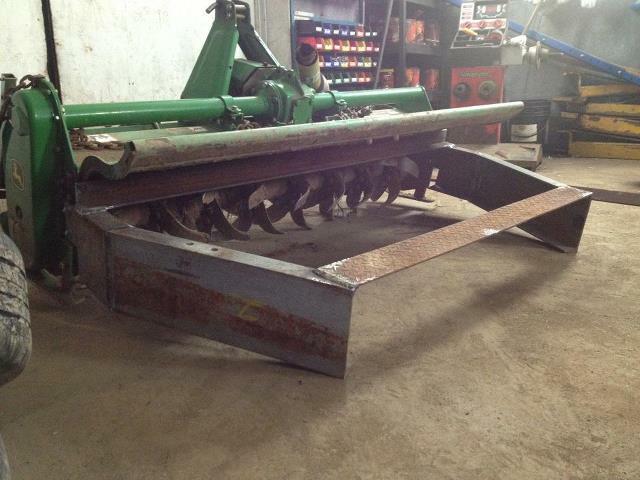 The beds were formed with a tractor, a real labour-saver. This photo shows the Andrew-made bed-former at farm HQ in Hampton NB. 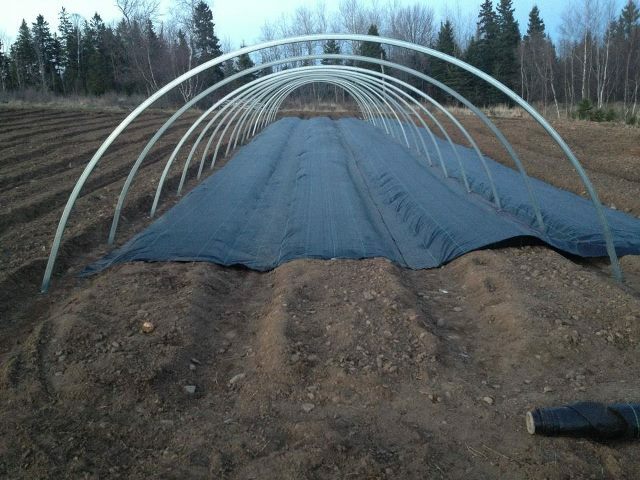 This hoop house was being installed on top of landscape fabric, April 19. This is the third one they put up on the farm. This entry was posted in efficiency, farm mentors, growing vegetables, Hanley Hoop House, season extension and tagged Dave's Produce Packs, Hanley Hoop House, landscape fabric. Bookmark the permalink.